What an experience! I haven’t been “live” in a student union since I was thrown out of university myself. Here we were at Leeds University last night reviewing the state of higher education with a couple of hundred students, academics, and parents when a bunch of revolting students burst in. I suddenly found myself broadcasting whilst confronted by the very people of whom once I was – a revolting student. What a gulf of time divides us. How spoilt I feel. A huge student grant from the North Riding of Yorkshire and I go and blow it on a student protest against my own university’s investments in apartheid South Africa. In those days there really were people who thought there wasn’t much wrong with apartheid, I suppose there still are today, somewhere. But I had lived in Africa, done VSO in Uganda, and came back suffused with hope and opportunity for that remarkable continent. Hence the idea of separating peoples because of their skin pigment disgusted me. Now here am I resisting another generation of students equally disgusted by the idea that the state wants to get out of higher education. But um, er, it’s not as simple as that. Crash, bang – oh dear, what will I do if they invade the stage, grab my microphone, and issue a polemic live on air? (Wouldn’t that breach OFCOM regulations?) But they don’t. The odd rugby tackle, and an exceptionally large bouncer, and I’m still talking. What contradictory thoughts it stirs. I am recovered. I’m here to report the news, not help them make it. I take the last direct train home. A pleasurable experience, it’s the train line that belongs to you and me – East Coast. Clean, brightly painted, fast. It feels a lot more rewarding than the banks we own. The staff are personable and attentive. A restorative gin and tonic attracts the barman along the carriage bearing sliced lemon and ice. Not my memory of nationalised rail travel of old. Is there, in some way, a new way of doing state ownership? We are six in our returning team. An engaging person who produces a theatre troupe – Paper Birds – returning from her AGM in Leeds completes the company on our adjoining tables. She’d settled to write up the minutes on the train. I’m not sure she got a word down as she joined our review of revolution, nationalisation, feminist drama, Twitter, and the state of the world. Some people would say all students are “revolting”,but the young must have their say,before they become old and join the silent majority.Where best to air their views on a subject that might affect them , but on a live news camera. Have you not noticed how the cameras always bring out the helpless the disallusioned,the critic or the plain revolters. As for apartheid, that too was revolting.I spent a year in S.Africa, getting thrown out of “blacks only” areas at the point of a police gun.Yet it was a beautiful,well run land of immense wealth,just as Rhodesia was the bread basket of Africa ,and Kenya a model of English law making.I am afraid Colonialisation left its mark in revolt and in many cases revolting leaders. Steady on chaps isn’t perhaps a way of controlling rioting students , although they weren’t too rowdy. The 1960’s Jon were very different. We expected little as it was still the post war period. Expectations today are high. Only the well off or superintelligent went to university. Education ,education education has changed all this and it is deemed as almost a right. The young lady was brave commenting that her education at Uni could be completed in a year and indeed some of the courses I believe are as easy as that , my daughter, a career adviser, talks about the disparity in courses, yet fees not being greatly different. I personally worked all the way through all my degrees , brought up a family, paid a mortgage and found it very difficult, but because of the lengthened time there had a greated insight into uni life. It was interesting to note that Steve Davies commented that this was a university and another students remark, re the poorer being hit harder was misinformation deriving out of lack of evidence. The next comment from Mr Davies was one where he highlighted the inconsistency and potential inaccuracy of knowledge, he ‘shot himself in the foot there. If you truly feel privileged because of your free education and grants, perhaps you will join my campaign that tuition fees should be imposed restrospectively on those who shareed your good fortune. After all most of them have also enjoyed years of boom, greatly enlarged capital through house price inflation and in many cases, generous pensions, all of which are likely to be denied the poor sods who will face starting work with a debt of about £40,000. Sam , Sam , Sam, . It doesn’t follow that because education was free in times of yore, that the degrees led to lucrative jobs. In fact most older people have found it difficult to get any jobs for 15 years or more , struggling with the family responsibilites, mortgages and younger families who are also trying to get jobs. Times have been so hard,I could not go through it again: no holidays, no going out, taking the flack for all the younger generations lack of experience, social life brought to a standstill due to working hours,which are fought for tooth and nail…give us a break or we will have nothing to leave our kids at all. As someone not long finished paying off my own (and by today’s standards, much discounted) education, I’d be happy to pay a retro fee, especially if David ‘two degrees’ Willets joins in. (Might also help if life membership of the student union was included). No Margaret, it doesn’t. But a truly progressive income tax rate would balance that. For example someone earning $500k pa could pay 70% and still take home many times more than the average salary each year. Do we really believe they do that much more work or are that much more valuable. This morning there was shock that some consultants received bonuses of 70k taking them to something around £150k pa. In my world they are far more valuable than the city slickers who take home millions. Progressive income tax is the only fair tax. VAT and all fixed indirect taxes mean the poorer you are the larger percentage of your income you contribute. The problem is that the vast majority of British people have been conned into believing that income tax is bad so instead of the rich contributing more we end up with people on middle incomes having to pay an education ‘tax’. Who did they and their parents vote for ? Saltaire,i thought you were a Socialist!!!! Only a 70% tax on the rich? ?Yes i agree that the tax take should be increased by hitting the rich. Also by taxing any additional salary(ie. bonuses to the hilt.There are those that would say a 70% tax would cause a brain drain , i do not support that view.Where would they all go to achieve their present income .I believe it should come in at £100,000.I also believe now is the time to hit the unseen controllers of the countries wealth,with a LVT.thereby those supposedly owning the land would have to pay an unavoidable tax. My ideal Commons would be representatives that follow the wishes of the majority of their elctorate , without a Party view.Now that would be a revolution. Hmm. Gin and tonic on the train, a helpful barman to serve. The public subsidy (whether on this nationalised line, or the equally subsidised private operators) conveniently forgotten – out of sight and out of mind. So no need to ask whether this is a better use of taxpayers’ money than, say, supporting those revolting students through university. It’s a fair bet that the barman’s “market wage” has to be propped up by tax credits, too. I have real appreciation for those who go and see the state of british education first hand. It is in disgusting state as it is worldwide. Education should be completely free and top class regardless of class which is another filthy fact in world society. Everyone is equal which will eventually get across and change is a long way away but it’s on its way. jonny, it’s a day for the miners. Not the minors. Like Jon, very many years ago, we occupied the admin building (in my case, Hull University) demanding disinvestment of University funds from companies profiting from apartheid. The University was appalled by our presumption. We renamed the union instead, the Steve Biko building. How times change indeed indeed; the University of Leeds, and I think others, have agreed to student demands to disinvest from tobacco companies. Twas a lovely rugby tackle…. Perhaps Jon, there are a lot of Snowblog lurkers up in Leeds and felt the need to test your metal on modern protests. Award points for highlighting an upcoming protest (10.11.10), but lose points for not including coverage of student groups and public unrest/dissent in Leeds. As ever the debate was lively, surprising, and over before you could even notice. In particular I liked how audience members were used to shake people (e.g., Mr Russell-Group) from their comfortable (see also entrenched) positions. It is a pity that there are not more debates on TV; and no, Jeremy Kyle doesn’t count. For such an important national issue (Brown could be another Beeching in terms of importance and potential to destroy a world class system), there really should have been more debate especially if it was as lively as that on the train ride home. Instead we have a political class that justify unprecedented cuts by the need to spare future generations a huge debt… by forcing future generations to either run up a huge debt and accept low pay careers. Is it any wonder no one under 40 gives a flying feck about politics when its universally populated by hypocritical/unprincipled bastards. our brains don’t stop developing until we are about 24years old, and its growth is influenced by formative experiences which are mainly fed by being educated at school, being nurtured by parents, other family and family friends, by your peers, the (maritime) laws of the land, “politics” and the constant beat of the media drum- mainly being television these days. over the ages these have all snowballed together to “validate” the system aka “money”. and due to it influence on developing minds, it is literally hardwired into people. that is to say it is very hard to break the system programming. the current and future “crop” (for that is how they are viewed by the bankers pulling the strings) of students are now going to have to pay for the brainwashing they receive at uni. for most the debt will ensure they are chained to the “system” for many many years to come. they will perceive that they have no choice but to conform, cos their brains are hardwired to believe that “money” is the only way. it is easy to spot jon that you are one of the most decent, postively intented news bods on the television. but you too have been brainwashed. I too was a revolting student, at Leeds University, under the wonderful Lord Boyle, whose desk I enjoyed sitting at during the 1971 occupation. He didn’t throw us out: he invited us onto his new staff-student committee. Herbert Marcuse called this repressive tolerance. But I remain in revolt – against this government, against Labour’s complicity in the whole business of making students pay for their higher education (it could be free, if they dared campaign for higher taxes on the rich and an end to expenditure on armaments). What about you Jon? You often sound like a man who objects to the current structure, but here you seem to be mainly disconcerted that someone might interrupt your broadcast!! I still support the students and you should too! I saw your piece and I was wondering if there was a factual error when you asked a student whether she would mind paying back £7 a week for 30 years. If that was true, a student would pay £364 a year, but as we learnt the interest according to the new rules would be 5.5% if applied today. As the average loan is estimated to be around £30000, interest would equate to £1500 a year or around £29 a week without any capital repayment. So obviously you got your figures severely wrong. The actual figure is more like £148 monthly repayment based on a £30000 and an average interest of 4.2%. Please correct this in future pieces, so that the public can have a proper debate. I also feel that the mantra that on average a student will earn an extra £100000 SHOULD BE MORE VIGOROUSLY interrogated, because the standard deviation between the average salary lets say a banker, barrister etc. and a teacher, nurse etc. is massive, what’s the median? And as a last comment this government thinks it is right to give people who don’t work a pre-tax income of around £37000, but it will charge people, who go to work, for their degree as soon as they earn £21000 is that fair? I agree, it’s a nonsense. Take on a £30,000 loan today, and recover £100,000 over forty years? Don’t think many BTL properties would have been bought if that’s all that they yielded. Math is a very week subjects for politician. I have twin daughters with BA for £1000 a year. It was DIY study at Chelsea College of Art and Design, getting 20 minutes tutorial a week in year3. Both got £12000 loan including £3000 in interest. Blair lied about the interest rate that it will move according RPI index. Maybe with the huge time delay. If you want to know the interest rate, here is the clever SLC information:Student Loans Company will apply a 1.5% interest rate from 1 September 2010 across the UK. Between 1 September 2010 and 31 August 2011, the interest rate may change because it is linked to the rates charged by high street banks. The rate will be the lower of the Retail Price Index (RPI) in March 2010, or 1% above the highest base rate of a nominated group of banks. The maximum rate of interest that may be charged between 1 September 2010 and 31 August 2011 is 4.4%; this was the RPI in March 2010. The amount to be paid back will depend on the amount borrowed plus the interest charged. Interest is linked to the rate of inflation and is adjusted each year in line with the Retail Prices Index (RPI). John_Wane: No, the facts were correct. In the example given the graduate would be paying back £7 a month as it’s the figure taken directly from the proportion of salary over £21k – the fact that the debt would be accruing monthly interest well over the rate of repayment is neither here nor there, it’s just more money that wouldn’t get repaid at the end of the 30 year loan period. At which point the debt is written off. So in 30 years that will be millions upon millions of pounds coming from… where exactly? Has anyone noticed how the government will scam students if it follows Browne`s suggested “levy” to control excessive fees ? Every £1000 of fees above £6000 has a rake off to the government (report p.37). Browne`s suggested £7000 fee to cover the total withdrawl of government funding for the humanities already gives the government £60 per student that the student will be paying back for 30 years. If Oxbridge goes for fees of £12000 a year the government rake off from the student`s £36000 is over £9000. Every £1000 over £12000 the government takes £750 but it would still be worthwhile for Oxbridge to try, may be, £20,000. The student pays back £60000, the government gets £27720. Browne hits teachers and the children of teachers and showers money on Oxbridge and government. Whose scamming who as we all pull together, jolly boating weather. I am a university student, and I think the tuition fees uncapped is truly ridiculous. Students should have free education! Is the Vice Chancellor of University of Leeds aware that in most countries higher education is free?? How can he say that the English universities are “the most generous in the world”? It doesn’t make any sense. The government give misleading campaigns that universities have home and EU students, but the majority of the students are international students and therefore pay the full fees. Shouldn’t the government encourage students to go to universities to help the English economy, instead of forcing them to make unfair decisions about their future depending on the cost? There are other places where cuts should happen such as bonuses, not valuable sectors such as education. I am now already over £12,000 in debt £9,000 of that sum is the interest from the Student Loan I had to take. In my field, I cannot earn £21,000, as I am young and not experienced enough to earn that income. My dept will keep rising until I can reach this income, and it will take years. I find this decision insulting, disgraceful and hopeless, and it makes me very angry. Quite right, Kat. The government can’t have it both ways – if a highly educated workforce is necessary for our economy then the state should be proud to invest in that. If they had the guts to tax as they should, they would recoup the money many times over. At 65 I’m ashamed of my generation and those that followed who have had the best of many things, including accumulating unearned wealth through property inflation, but are now pulling up the ladder on a generation who will anyway not have it anything like as good. And your trip was “fast”. Yet this crazy (and allegedly cash-strapped) Government, like its predecessor, is intent on wasting billions merely to shave a few minutes off that already “fast” journey for a tiny number of mostly business-funded passengers. Can someone tell me where the logic is in that ? The amount being proposed for that ridiculous ‘Big Train Set’ alone would more than cover the entire Higher Education budget – which would you prefer ? Which is more likely to deliver a pay-back to the nation ? I think we all know the answers – so why don’t Dave & Nick ? After blowing off a lot of steam again, Jon, can I just say what a great bulletin it was tonight (Wed). You enthusiasm over the Chile miners’ story was terrific; Ed Milliband making Cameron look pompous and deceitful was enjoyable; and the piece on the Congo was brilliant journalism, highlighting just how much work has to be done before the world can be called civilised. An hour of emotion, information and stimulation – what more can you ask from a broadcaster? SOS – just been told by the local Jobcentre that life-support is now in question, because I’ve not done enough jobseeking – fair enough, but they said you have to provide 3 “proofs of Jobsearch”. I used to provide 60-100, but it’s recently dipped to 10-20. Am I a victim of my own excessive over-enthusiasm??? Question: have I ‘broken the original JSA agreement’ or, err, not? 4 is more than 3, after all. Do they have anything-approximating a leg to stand on? The word ‘Tribunal’ does loom large. Isn’t it odd? They’re all nicey-nicey to your face, but then they threaten you with life-in-a-ditch. Are Jobcentre staff not-just-obstructive, but the nicest Nazis you could wish to meet? Is the entire Civil Service just a nasty little comfort-zone? Was Sir Humphrey just a nsaty little man?I’d rather they didn’t even say “hello”. I’d rather that they said “shut up and sit down” – that would be more honest. Moral: we live in a democracy – YOU CAN WRITE TO YOUR MP – you can make-a-fuss. Democracy = your right to be awkward. Having dealt with several face to face over the past year, my experience of front-line (I refuse to call them “customer facing”, because I am not a “customer”, I’m a human being that needs a job) JobCentre staff has been very positive – uniformly honest, professional, respectful of others and as helpful as their Job Descriptions and the benefit regulations allow. And there’s the rub – the systems they are required to operate (imposed from the centre, probably written by people who’ve never met an unemployed person) insist that all benefit claimants are workshy and feckless, need to be told to comb their hair and brush their teeth, and won’t do anything unless coerced. 7 pages describing the sanctions if those demands are not met. Is this intended to help the unemployed find work, or to reassure the Daily Mail that scroungers are punished? The era of educational apartheid is upon us. The class divide increases, equality and jobs are denied due to appropriate ‘demographic’ and the general population reverts back to a segregated (if socially) aware class afflicted society. Corporate business structure, keeps the rich and poor where they are with little opportunity for progression. The economic downturn’s knock on effect has effectively halted any socio-economic progress until the astronomic debt can be cleared. The fact is only really working class people and students really feel the pinch as the rest of the english middle & upper classes look on in a state of apathy. It’s very depressing and one can’t think this is just the beginning of a new era of gloom that may take a decade or more to shift. It’s not the Conservatives fault or the Lib Dems, ‘New Labour’ has created a monster through neglect and short sightedness. There were many positives of course but it can’t be denied that the current debt is really too colossal to even rationalise. Like it or not education is a business (even in it’s quango format) – the government run it. The products (graduates) are now over stocked. White elephant anyone? As a University of Leeds postgraduate student, I found it hard to watch students breaking in and protesting in a manor which isn’t effective or sympathetic to the greater cause. It was our opportunity to demonstrate our world class nature, and whilst my grudge isn’t with the issue or the right to protest, the methods used were juvenile, potentially leading to a negative impression on the University as a result. It was refreshing that students interviewed highlighted that it was an ineffective way of conveying their message, a message shared by fellow students conveying their message in a much more respectful manor. I just hope the University of Leeds continues to be viewed in a positive light despite the shambles from the protesters. Ha! Students should have good manners, says Postgrad Russell Group world class student who gets his manor mixed up with his manner . . . you know, James, there are lots of ways of being effective, and one of them is breaking the rules laid down by the people who invented ‘manners’ as a way of differentiating themselves from the revolting masses. If you’ve time, you might find Norbert Elias on ‘civilisation’ enlightening on this issue. Yes, rational, respectful debate is also a useful tool, but the government has taken a position which is nothing less than a declaration of class war, where its class will fight by any means necessary to make the lower orders pay for the crisis their class caused. Sorry to sound rather like a follower of Karl Marx, as well as Norbert Elias, but honest capitalists (like Margaret Thatcher) never made any bones about the war they were engaging in. Cameron and Clegg are just the nicer, fairer faces of the same battle-hardened class. Your disrespectful fellow students have obviously seen that more clearly than you. He didn’t say he wasn’t sympathetic to the cause Max, for the record I agree with his perspective yet still believe the rise will be a tragedy! suggestion that “there should be NO upfront fees for students” (Cabel, 12/10/10). This would surely be the first time that ‘the consumer’ will be forced into ‘purchasing’ something with added interest? For example, a student is told that she cannot pay the fee of £7000/year up front, she has to wait, paying back both the fee plus ‘interest’ (which Lord Browne proposes should be a ‘real’ rate of interest – i.e. not subsidised). into Mortgages. How will Muslim students, who wish to follow their faith, be able to go to university if all students are forced to take out a loan through the removal of up-front fees? It removes their ability to choose! Don not bother, you can get mortgage with lower interest rate as it is at SLC. It was not subsidised before and definetly it will be not in the future. It looks that David Willets is selling credit card. Buy now – pay later (with massive interest. What interest? Try to find out on http://www.slc.co.uk. What about Buy two degrees, get the third free? Anyway, there are no jobs for graduates. 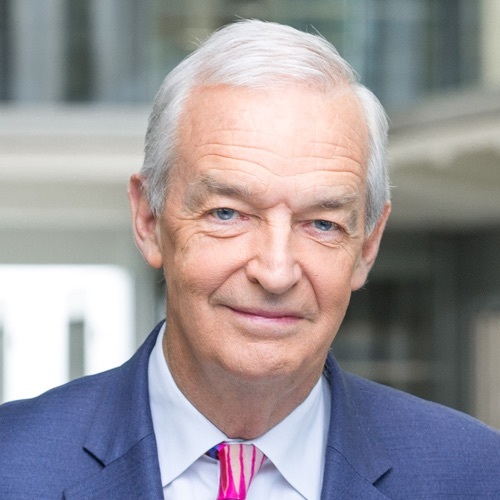 I really don’t think Channel 4 or C4 news could operate without some graduates – engineers to make the kit work, accountants to stop them going bust, legal advisers to keep Jon out of jail.